One of the most popular English proficiency examinations in the world is the International English Language Testing System examination. The IELTS exam is required from non-native English speakers who want to study, work, or live in English speaking countries. For a lot of Filipinos, the IELTS certification is a passport to making their dreams come true with their applications overseas. With the number of IELTS test candidates increasing yearly, how important is it to have an IELTS certification? For starters, the IELTS examination is a paper-based examination. The four core skills - speaking, listening, reading, and writing - are evaluated through different questions in a social context. Each core skill has its own techniques and strategies. This is the very reason why a lot of Filipinos enroll in IELTS course to improve and practice their English skills. Being a requirement to applications overseas, it puts a heavy weight among IELTS test candidates to be successful in taking the examination. There are a number of reasons why non-native English speakers need an IELTS certification. 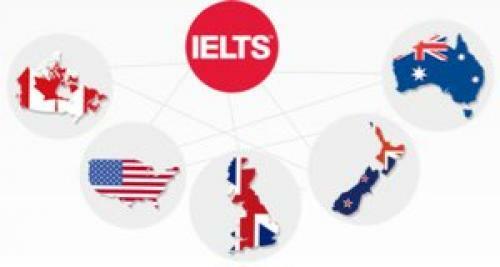 Some IELTS test candidates want to pursue an undergraduate or postgraduate degree in countries like Australia, New Zealand, Canada, and United Kingdom. As an evaluation of one's knowledge in the English language, the IELTS is a part of the requirement. This is also a good way of measuring an applicant's ability to use the English language to be survive the demanding school life in these countries. It is a fact that a lot of better opportunities await professionals overseas. The IELTS certification is used as proof that a certain professional is good at using the English language. This becomes an assurance to any hiring managers or employers that their new hires are able to adapt and be productive at work. Living overseas has always been enticing. The opportunity of living with new culture and people excites anyone; hence, people apply for immigrant visas in the countries mentioned above. For them to survive living with the locals of the country, it is best to have an IELTS certification to show that applicants do not have any problems using and understanding the English language. Some non-native English speakers take the IELTS to test their English skills. There is no particular requirement they need to comply. These people want to know if they are already good at the English language. This is actually a nice way in testing one's expertise and knowledge with the language. The IELTS certification expires within two years. Thus, it is important for any candidate to use the certificate as soon as possible. For a successful IELTS examination, the best thing to do is to take an IELTS course. An IELTS course will help IELTS test candidates to build their English skills suitable for the IELTS examination. What coaches do in an IELTS course is expose their students to different exercises and practices that will make them familiar with the common topics and questions used in the examination. Be prepared with the IELTS with constant exposure - practice that can only be provided by the best IELTS course program.